The entire in-depth review can be read over on The Cimmerian. And if you’re looking for more of Lancelot Speed‘s wonderful illustrations (like the one I used for the art below), check out Archive.org’s scan of the 1891 edition HERE. It is wonderful! 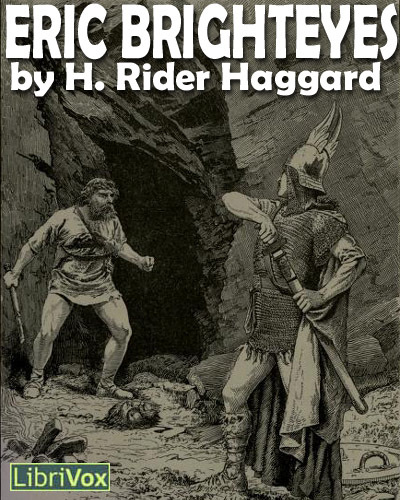 Eric Brighteyes is the title of an epic viking novel by H. Rider Haggard, and concerns the adventures of its eponymous principal character in 10th century Iceland. Eric Thorgrimursson (nicknamed ‘Brighteyes’ for his most notable trait), strives to win the hand of his beloved, Gudruda the Fair. Her father Asmund, a priest of the old Norse gods, opposes the match, thinking Eric a man without prospects. But deadlier by far are the intrigues of Swanhild, Gudruda’s half-sister and a sorceress who desires Eric for herself. She persuades the chieftain Ospakar Blacktooth to woo Gudrida, making the two men enemies. Battles, intrigues, and treachery follow. First published in 1890. The SFFaudio Podcast #019 – Julie Davis (of the Forgotten Classics, StarShipSofa and Happy Catholic blog) joins us for a potassium filled show.